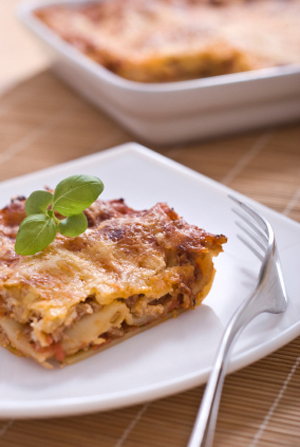 Tony Boffa’s fine sauces inspired us to make lasagne. Photo by Arthour | IST. This is Page 2 of a two-page article. Click on the links below to visit other pages. 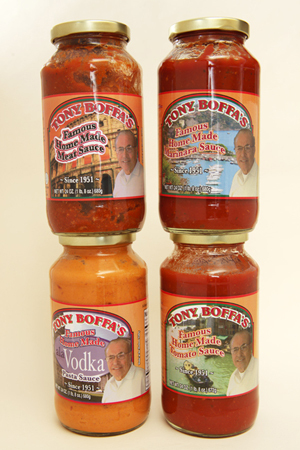 Pair Tony Boffa’s sauces with quality pasta and you’ll have as special an experience as at your favorite Italian restaurant. But you can “think outside the jar” and use these fine pasta sauces to make other delicious dishes. Here are more than 30 different ideas. The Marinara and Tomato Sauces work with most foods. Don’t overdo it by using Meat Sauce on meat dishes (or fish or seafood!). Vodka sauce, which is very rich and creamy, is best used on special dishes that are in need of a gourmet touch. Baked Pasta: Lasagne, Manicotti, Ziti, etc. 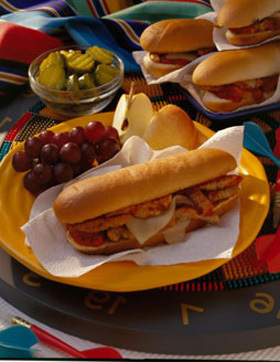 A pork hero sandwich with marinara sauce. Photo courtesy National Pork Board. Rice: Top steamed white or brown rice with your favorite sauce and grated cheese. Spanish Rice: Cook 1 cup rice according to the package directions, substituting 1 cup pasta sauce for 1 cup of the water; stir in capers, Spanish olives and chopped scallions. Photo by Katharine Pollak | THE NIBBLE.